Thank you for applying for this RnRI scholarship! This is a special scholarship specifically for returning campers, so welcome back! Please submit your response to the following Scholarship requirements to rockandrollinstitute@gmail.com by May 1st. Make sure to include ALL of the requested information in your application email. Failing to do so would result in an immediate rejection of your application. All submitted information will remain private and will only be seen by the RnRI Scholarship Committee. NOTE – This is not a full Scholarship. This award only covers 50% of camper registration fee. The Scholarship recipient is required to pay the remaining balance of $175 by first morning of camp. You must write an essay explaining why you deserve the scholarship. The essay must be between 300-400 words. Do you take private lessons? If so, where, and who is your teacher? What other instruments can you play? Does your family currently receive SNAP benefits? Or have you, or anyone in your family received SNAP benefits within the last year? Vocals – Sing parts from 2 different songs. One a cappella and one performed along with a recording. Guitar – Perform parts from 2 different songs, play 10 chords of your choosing, and improvise 2 solos in one of the following: major, minor, pentatonic, or blues scale. Bass – Perform parts from 2 different song and improvise 2 solos in one of the following: major, minor, pentatonic, or blues scale. Drums – Perform parts from 2 different songs. Play 5 different types/styles of drum beats, please include a minimum of 10 varied drum fills. Keyboard – Perform parts from 2 different songs, play 10 chords of your choosing, and improvise 2 solos in one of the following: major, minor, pentatonic, or blues scale. You must own or have access to a well-maintained, functional instrument. You must be available to participate in, and/or attend all required rehearsals and performances. Both during camp and outside of the camp weeks. Failure to do so will result in revocation of the scholarship, and a charge of $175 (1/2 the camp registration fee) to the scholarship recipient. Scholarship applications are accepted starting April 1st. Scholarship application submission deadline is May 1st. Scholarships will be awarded on May 8th. Recipients will be notified via the email address used for application submission. 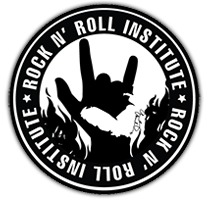 The Rock and Roll Institute Scholarship Committee does not and shall not discriminate on the basis of race, color, religion (creed), gender, gender expression, age, national origin (ancestry), disability, marital status, sexual orientation, or military status, in any of its activities or operations. These activities include, but are not limited to, hiring and firing of staff, selection of recipients or volunteers and vendors, and provision of services. We are committed to providing an inclusive and welcoming environment for all members of our staff, students, volunteers, subcontractors, vendors, and clients. Which camp would you like to register for?